International Children’s Book Day was on April 2nd. The day I became a writer was the day my babysitter, Lucy, read me a story called “The Really Ugly Duckling” from the wildly popular children’s book The Stinky Cheese Man and Other Fairly Stupid Tales by Jon Scieszka and Lane Smith. Lucy dramatized the story as she read to me during bath time, using my collection of rubber ducks to act out the tale of a really ugly duckling who grows into…a really ugly duck — not a beautiful swan. Unsatisfied with just one story, I ignored the rapidly cooling bathwater and asked for her to read another. Lucy handed over the rubber ducks and let me act out “Cinderumpelstiltskin,” a story that combines the classic tales of — you guessed it — Cinderella and Rumpelstiltskin. Something clicked in my brain as I recreated the story on the edge of the bathtub. This was probably the hundredth iteration of the Cinderella story I’d heard in my seven years on earth, but it was so unlike the others. 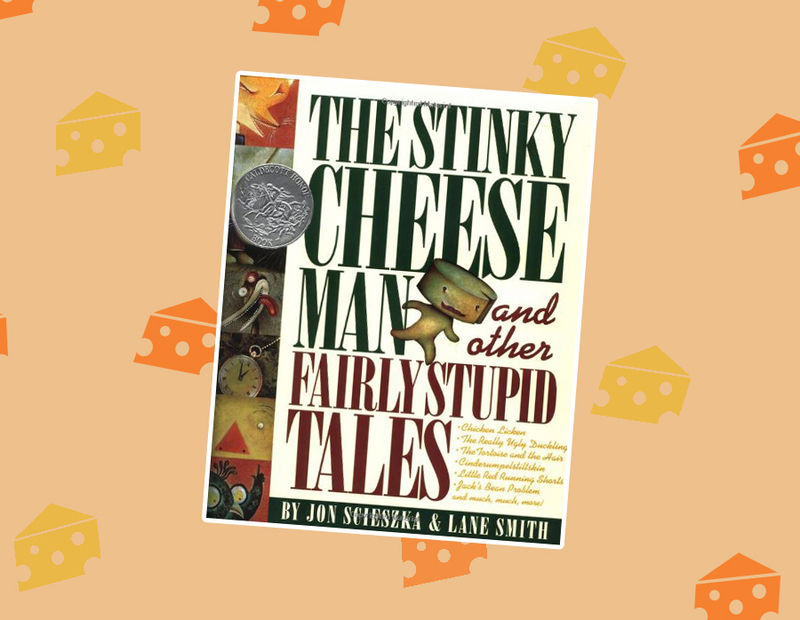 The Stinky Cheese Man featured dark, almost grotesque illustrations, and it was genuinely funny in a way that both kids and adults could enjoy. That book was one of the first examples of parody I’d been exposed to (and could understand). It was closer to my favorite Nickelodeon cartoons, like Rocko’s Modern Life and Rugrats, than it was to any Disney fairy tale. As much as I loved those Disney movies (and still do), I was already becoming a bit disillusioned with their glossy worldview. At that point, I’d been exposed to enough cable news to realize that not everyone gets to live happily ever after, and that my chances of becoming a princess were slim at best. By parodying these classic fairy tales, Scieszka and Smith gave kids a more realistic view of the world through completely ridiculous stories that lacked the neatly wrapped, moralistic endings found in my school’s library books. 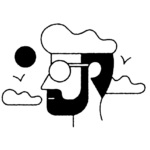 Free from the pressure to “learn something” from these tales, I could allow my mind to wander. These devices showed me that I was capable of creating a book of my very own, one that didn’t need to follow the rules of the more formulaic books on my shelf. I began writing my magnum opus, a children’s book with Crayola illustrations by Yours Truly. Like Scieszka and Smith, I drew inspiration for my story from classic fairy tales (I knew nothing about intellectual property law at the time, so thankfully I chose something in the public domain). After several days — let’s be honest, after a few hours — of hard at work in my treehouse, I emerged with Cinderella and Her Evil Step-Ducks, a retelling of Cinderella starring (surprise!) a family of rubber ducks. It was a blatant rip-off of both the book that had inspired me and my babysitter’s bath time puppet show, but none of my adult readers called me out on my plagiarism. I submitted my short life’s work to the CaldeWash Awards, a picture book-writing contest inspired by the Caldecott Awards, hosted by my elementary school’s library. I didn’t get my hopes up too high — plenty of other kids in my grade had submitted books with far superior illustrations and concepts. Besides, I was the weird kid who often played by herself at recess, and not exactly an academic standout. When they called my name as the winner of the award for the first grade, I couldn’t believe it. Sure, I was getting a plastic medal in an elementary school gymnatorium, but I felt like the librarian had just handed me an Oscar. Maybe writing could be my “thing,” I thought to myself — especially since I spent most of my soccer games picking flowers instead of tending the goal, and thus needed a new after-school hobby. I’ve had a lot of dream careers over the years — Broadway star, Oscar-winning director, TV news anchor — but I’ve always stuck with writing in some capacity. About a decade after my CaldeWash win, I told the story of my great childhood literary triumph in my personal essay for my college applications. It seemed a bit like fate when I was accepted into my top choice school for screenwriting. To this day, I’m still bending the rules in my writing, the way The Stinky Cheese Man taught me.